If your child is conceived through donated eggs, sperm or embryos – or is adopted – when is the best time to tell them about their biological origins, and do you have to? The same logic applies to egg donation and Bourn Hall offers treatment to patients who need donor eggs from both altruistic donors and egg sharers. Patients who participate in the egg or sperm sharing programmes understand clearly what it means to struggle with infertility. This means that recipients will benefit from knowing their child will be conceived with sperm, or eggs, from someone who has made a fully informed choice and is mentally prepared to cope if they are later approached by an 18-year-old looking for more information about their origins. Recent research by the Centre for Family Studies* has also concluded that – although many parents choose not to tell their children about their biological origins – if this is something you decide to do, it is best to do it early. Families where the child knows about their origins before they are aged seven tend to have more positive family relationships and experience higher levels of adolescent well-being, compared to the child being told later in life. Research on children’s development has shown that children have an implicit understanding of biologically inherited physical characteristics by age four but are not able to understand the role of genetics until they are seven, and only grasp the concept of degrees of biological relatedness when they are 14. This means that a child can label themselves as adopted at age three, but they will not know the implications until they are seven, and will then develop a more sophisticated understanding of what this means as an adolescent. Early knowledge helps the child to process this information gradually as they mature. The issue with disclosure is that often the older members of the family want to keep the origins a secret, rather than the parents, which is a reflection of social changes over the last several decades. Jackie Stewart is an independent fertility counsellor supporting Bourn Hall patients, and she says that counselling is mandatory for anyone considering using donated gametes, surrogacy or adoption. 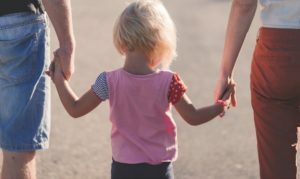 “Implications counselling gives the couple factual information but also helps them to explore how they both perceive the concept of family and what it means to bring up a child that may not be genetically related to them. If you would like to talk to someone about anything mentioned in this blog do contact us. Helpful leaflets about talking to children about their biological origins are available here.